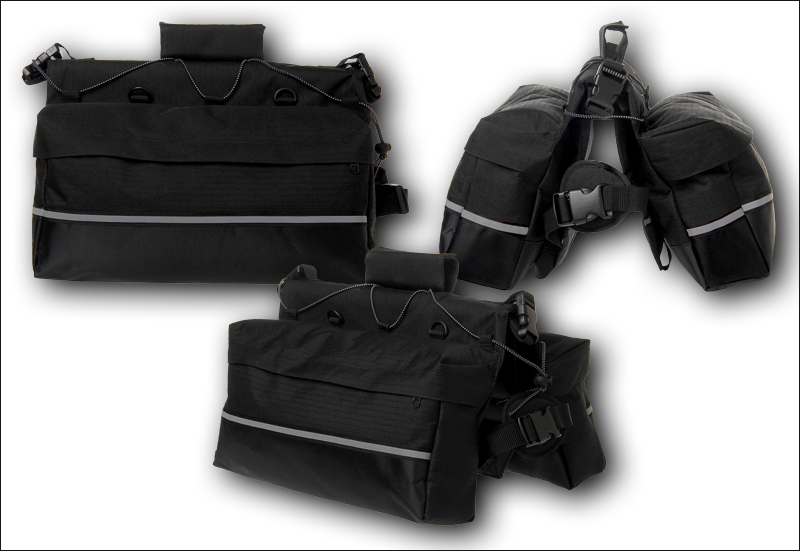 The complete five-size range of Bak-Paks. Now your best friend can carry his (or her) own gear – and perhaps some of yours too! The table above is trying to convey a general impression of the relationships between breeds and Bak-Pak sizes. 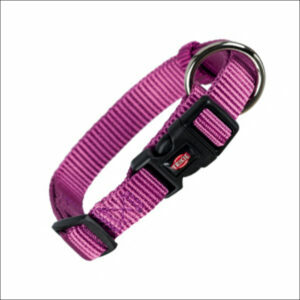 Most often, more than one size of Bak-Pak will be suitable for a particular breed of dog. Use your understanding to choose the optimum size. To establish the best size of Bak-Pak for your dog, measure around your dog’s chest – if the back-pack doesn’t fit around your dog, it’s not going to fit! As shown in the illustration alongside, from behind the front legs, measure all the way around the widest part of its rib cage and over its back. Remember to add an inch or two if you’re planning to use a coat or harness under the back-pack; also, bear in mind if your dog has a heavy seasonal coat, or whether its size may increase. Whilst you’ve got your dog and a tape measure to hand, also measure around its neck and the length of its back – from the shoulder blades to the base of the tail. With a note of the measurements to hand, now look at the table below. You’ll see that your dog’s chest and neck measurements will have either determined a particular size of back-pack or, more probably, reduced the range of suitable sizes to two or three. 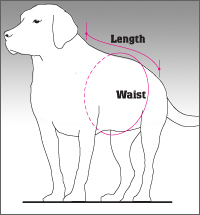 If, for example, your dog’s chest measured 20 inches (50cms) then you’ll see from the table that only the ‘Toy’ or ‘Small’ size Bak-Paks are suitable, whereas if your dog’s chest measured 24 inches (60cms) then a choice of four Bak-Pak sizes is available – unless the dog’s neck size eliminates one or the other of the sizes. When you do have a choice to make, choose the size which you think is more suitable for the use you’re planning to make of the Bak-Pak – and which one most suits your dog! Remember that the weakest part of a dog’s back is midway along the spine; keep as much weight as possible over the shoulders, so the weight is directly supported by the front legs. When you’re undecided between two sizes, always tend to favour the smaller size. 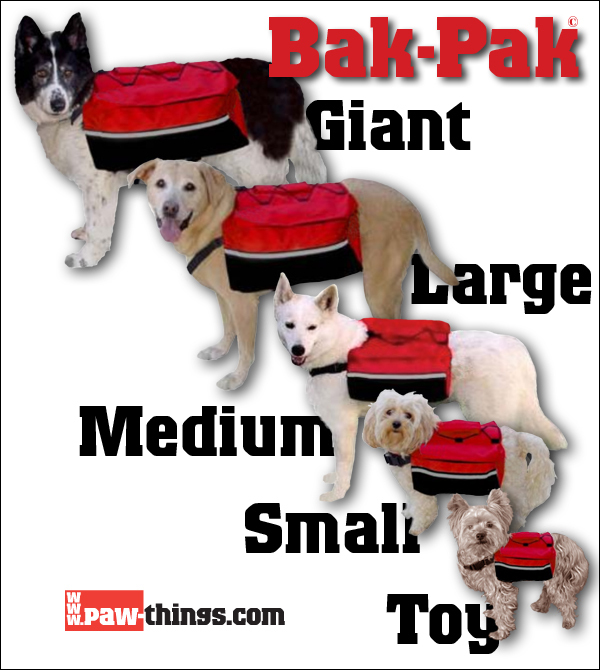 The sizing table – see the description to choose the optimum size Bak-Pak for your dog. 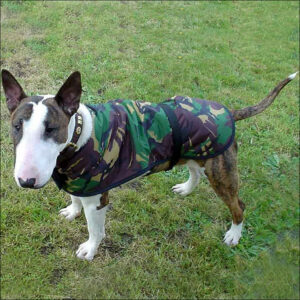 If your dog’s chest is smaller than the range indicated in the table then you won’t be able to secure the jacket firmly around your dog’s body. In addition there may be excessive room at the front where the jacket fastens around the dog’s neck. You should almost certainly be considering the next size down. If your dog’s chest size is bigger than the range indicated in the table (although we can’t envisage a situation where this will be the case!) then the back-pack just won’t fit on the dog. You most definitely need to look at the next size up. The large storage pockets of the Bak-Pak – deliberately identical to each other, so that loads can be evenly balanced – hold food, water, treats and other gear. The pockets feature internal mesh dividers and one pocket has an additional attachment clip – so your more valuable items (car keys, mobile phone, etc) can be safely stored. Under the tab captioned ‘The panniers’ you can read more extensive descriptions. 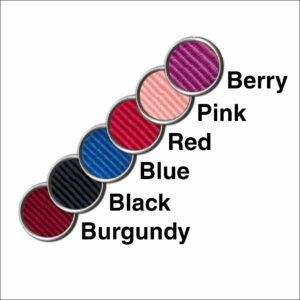 The Bak-Pak is available in four different colour ways – red, black, pink and camouflage. The three-point harness ensures a secure and comfortable fit; where the straps buckle together (using snap-click fastenings) the harness has comfort pads (they’re the disc-shaped objects you can see in some of the photos) which ensure that dog’s coat and body isn’t rubbed by the buckles. 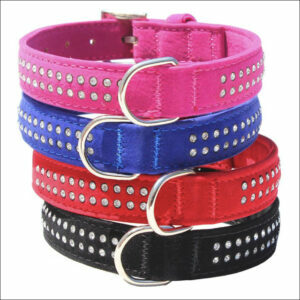 Each strap has two adjustment points; spend some time ensuring the fit of the harness is perfect for your dog. 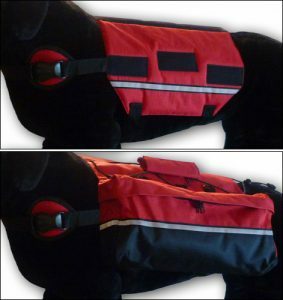 Particularly, the front strap has a generous adjustment range, ensuring the pack can be fitted a little more over the dog’s shoulders than the middle of the back (where a load over an extended period could damage the dog). If you’re letting your dog off its lead, leave the lead attached to its collar and store it in the ‘quick release’ leash holder. 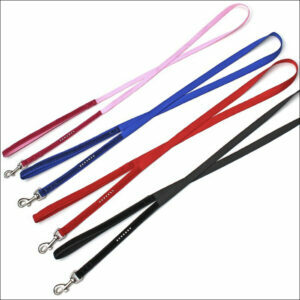 Should you need to bring your dog under control quickly simply give your dog’s leash a tug to release it from the back-pack – ideal for use when approaching other hikers or dogs. With the lead folded through the back-pack’s lifting/grab handle your dog can trot along and go exploring with its lead attached – but not dragging in the mud. The innumerable features which are incorporated into the ‘Bak-Pak’. The innumerable features which are incorporated into the ‘Bak-Pak’. The innumerable features which are incorporated into the ‘Bak-Pak’. The wide back pad spreads the weight of the load and locates it away from the centre of the dog’s back where it could cause harm. When empty, the back-pack is surprisingly lightweight. The set of D-ring anchor points is available for when larger or unusually-shaped objects need to be carried. The back-pack is made from tough 600 denier rip-stop nylon fabric – soft yet sturdy and durable. To clean, hand wash with cool water, scrubbing stains with a mild detergent, then hang on a line to dry. First fit the harness, then attach the panniers. As illustrated alongside, the ‘Bak-Pak’ is comprised of two parts: the harness which is attached to the dog; and the back-pack which is attached to the harness. The harness (above in the photo alongside) has three adjustable straps – one goes around the chest and two under the tummy which ensure a snug fit on your dog’s back; your dog’s coat is protected from all three snap-click fastenings by anti-rub disks. The back-pack itself (below in the photo) is then attached (and detached) using the velcro which is positioned on the sides and top of the harness. The back-pack is front-to-back reversible. 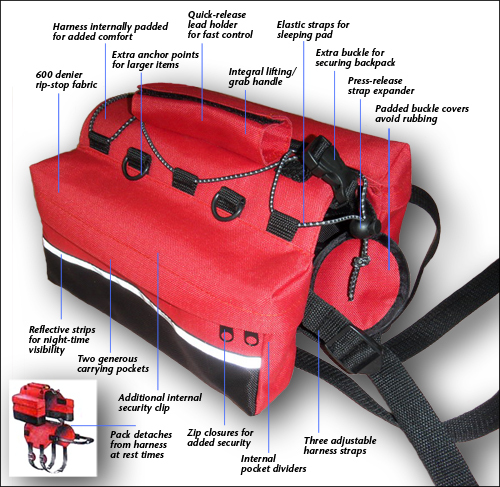 The ability to remove the back-pack without removing the harness is particularly useful on rest-stops during longer outings. Should your dog wander off at night when the back-pack has been removed, the reflective strips on the harness will aid relocation. A range of views showing how the panniers are combined with the harness. The two storage pockets, or panniers, of the Bak-Pak are deliberately identical to each other, so that loads – food, water, treats and other gear – can be evenly balanced. The pockets feature internal mesh dividers and one pocket has an additional attachment clip – so your more valuable items (car keys, mobile phone, etc) can be safely stored. 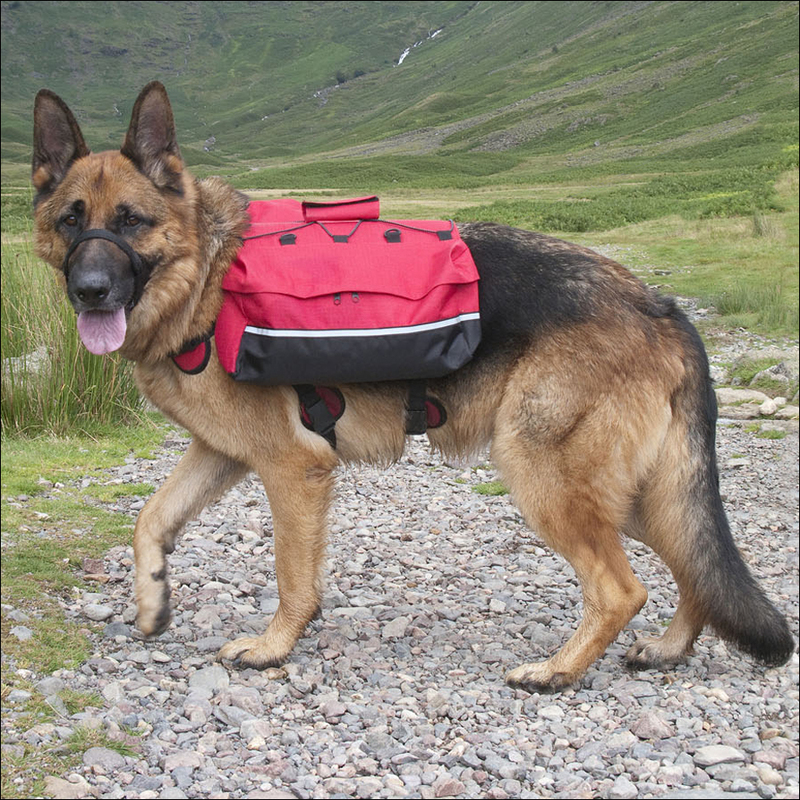 The three smaller sizes of the Bak-Pak (Toy, Small and Medium) are available with only the ‘Standard’ size of panniers, a size which is appropriate to the essentially modest loads which dogs suitable for these sizes might be expected to carry. We really don’t want to encourage anyone to put greater loads on those backs than they were designed to carry! The two largest sizes of Bak-Pak (the Large and Giant) are available in a choice of two pannier sizes – the ‘Standard’ and the ‘Maxi’. Whilst the ‘Standard’ panniers offer adequate capacity for most day-to-day carrying requirements, if you’re planning on more serious carrying the ‘Maxi’ panniers offer a significantly greater carrying capacity – but please be sure your animal (besides the large dog breeds this is also donkey, pony, llama, goat territory!) can comfortably support the weight. If you have use at different times for both sizes of panniers you can also choose to order, with a single harness, both ‘Standard’ and ‘Maxi’ sizes of panniers. The two different sizes of panniers (left: ‘Standard’, right: ‘Maxi’) available with the Large and Giant Bak-Paks. The Standard and Maxi panniers The two different sizes of panniers (left: ‘Standard’, right: ‘Maxi’) available with the Large and Giant Bak-Paks. The reflective safety strip, which runs the length of both sides of the back-pack, will ensure your dog is visible when out on dark nights. 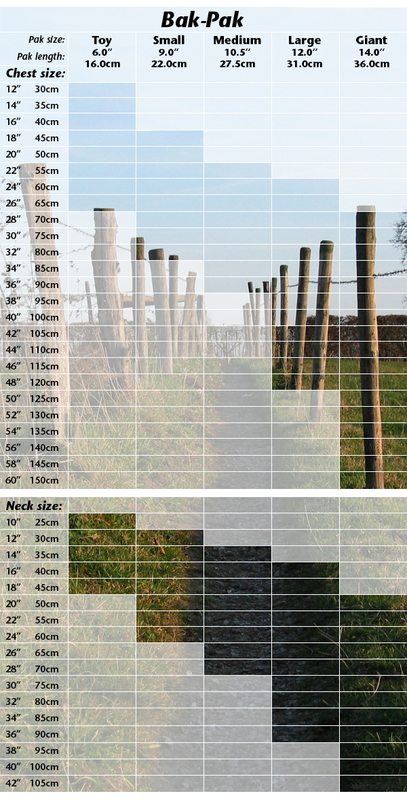 Laid out below is a table showing the dimensions of the various panniers. We do understand how difficult it can be to visualise the size of a particular pannier based on its dimensions; we’ve therefore included a ‘Capacity’ column. Based on the assumption that everyone can visualise the size of a standard-sized can of baked beans (or peeled plums, or spaghetti hoops, or whatever), the ‘Capacity’ column shows the number of cans which will fit in each pannier. (Remember that every backpack has two panniers so the total carrying capacity will be double the number of cans shown.) It seems to us this is as good an indication of capacity as anything else – and better than most! 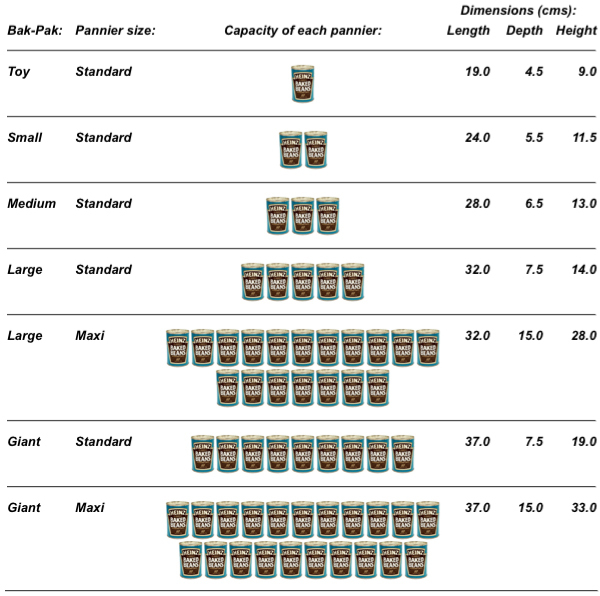 The maximum capacity of each pannier – measured in baked bean tins!